Tony Fitzjohn, part missionary, part madman, has been called “one of the world’s most endangered creatures.” An internationally renowned field expert on African wildlife, he is best known for the eighteen years he spent helping Born Free’s George Adamson return more than forty leopards and lions—including the celebrated Christian—to the wild in central Kenya. 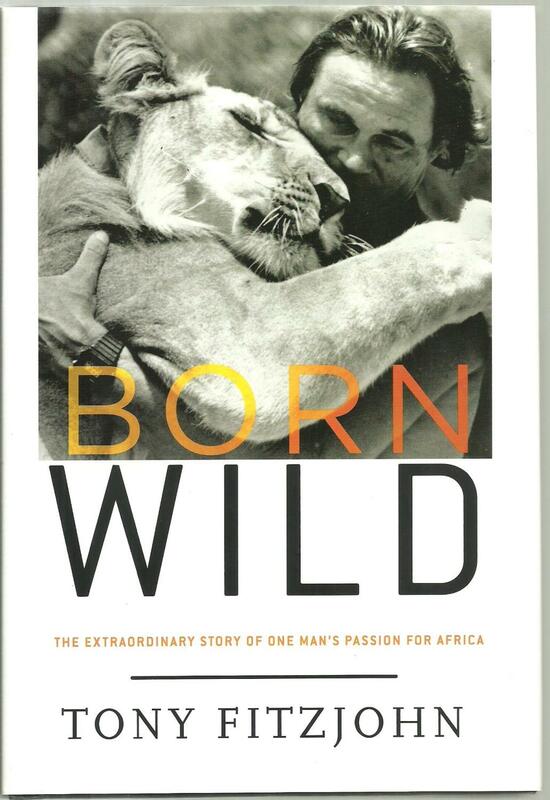 Born Wild is the memoir of Fitzjohn’s extraordinary life. It shows how a man driven by an impossibly restless spirit can do almost anything, from being a bouncer in a brothel, to surviving a vicious lion attack, to fighting with the Tanzanian government, to being appointed an Officer of the Order of the British Empire by the Queen. A notorious hell-raiser given to scrapes with bandits, evil policemen, and wicked politicians, who has been shot at by poachers and chewed up by lions, Fitzjohn is also a wonderful raconteur. Shenanigans aside, he belongs to that rare species of humans who have sought refuge and meaning in a life truly dedicated to the restoration of the animal kingdom. Many times Tony Fitzjohn has put his life on the line for the cause in which he believes. Born Wild is the story of that passion. TONY RAYMOND FITZJOHN, OBE, is an internationally recognized conservationist who has spent decades successfully reintroducing zoo animals to the wild, preserving East African wildlife, and pioneering the development and management of the Kora National Park in northern Kenya. He continues his mission as the field director for the George Adamson Wildlife Preservation Trust. He and his wife, Lucy, live with their four children in Tanzania.